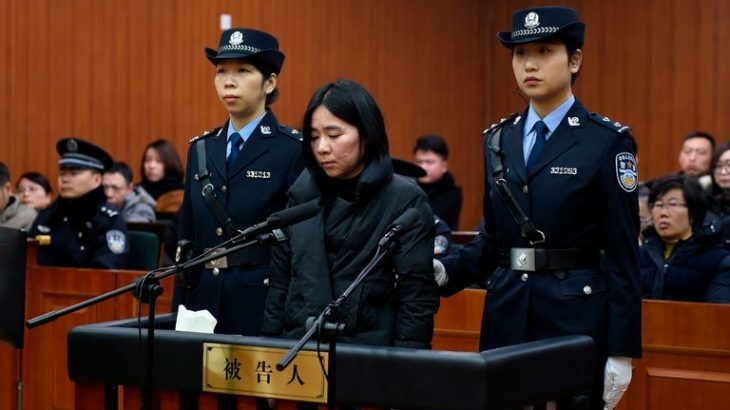 A Chinese court sentenced a nanny to death for setting a fire that killed three children and their mother, in a case that has prompted a national discussion about greed, trust, inequality and neglect. Investigations found that Mo Huanjing, 35, a former nanny of the family of Lin Shengbin, guilty of arson after she set fire to Lin’s apartment in Hangzhou City on June 21, 2017, killing Lin’s wife Zhu Xiaozhen and their three young children, according to the Hangzhou Intermediate People’s Court. Mo started the fire using a lighter in the early morning after she searched the keyword of “arson” online, according to the court. The authorities said Ms. Mo, who had more than $9,500 in gambling debt, had planned to start a fire and then extinguish it, hoping that the family would reward her financially for coming to their rescue. The fire also caused economic losses of more than 2.57 million yuan (405,900 U.S. dollars). Mo was also convicted of theft. The reaction to the court’s decision on Friday was overwhelmingly positive. “If she died 100 times it wouldn’t be enough,” wrote one user on Weibo, a microblogging platform.